In Ear Matters: [Preview] FiiO E18 Kunlun – Surprise, Surprise. 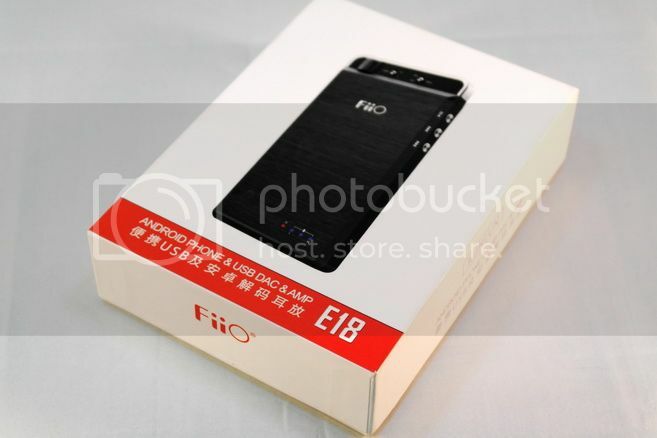 [Preview] FiiO E18 Kunlun – Surprise, Surprise. 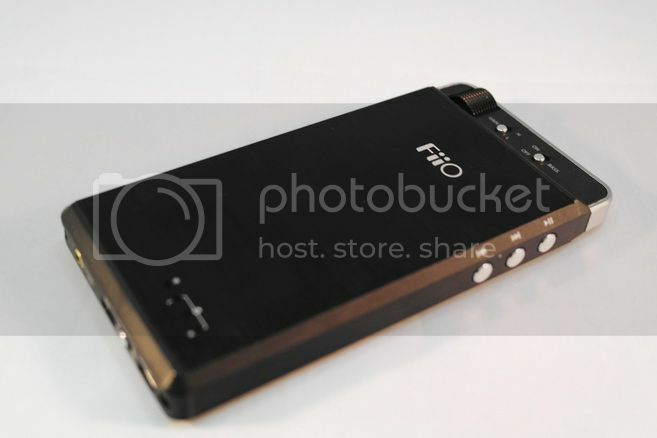 The E18 Kunlun is the latest portable amp/DAC for our favoritest budget amp company FiiO. Different from the E17, the new E18 is built for pretty much exclusive for Android devices. Well, it does work as a USB DAC on PC or as a standalone amp, but being an Android DAC is what it really is all about. The E18 I have is an early sample that should perform the same as the retail version. However the official spec has yet to be released, so instead I will add the detail in once they are available. 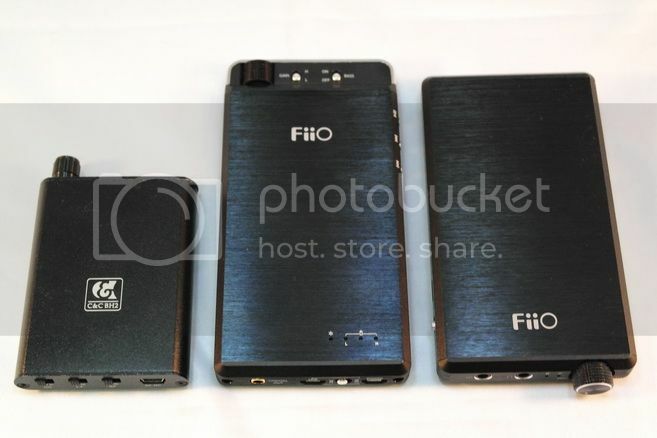 The packaging is fairly similar to any other FiiO products in the market now, which is basically a white and red hard paper box. Most of the accessories are pretty standardized as well, including a microUSB charging cable, 3.5mm interconnecting cable, some rubber band to hold the amp to the source, an S/PDIF adapter cable similar to that from X3 (as E18 can output S/PDIF coax), some stick-on rubber feet, a soft pouch, some simple manual, as well as the all importable micro-to-microUSB interconnecting cable. One thing to complain is the microUSB interconnecting cable – while it works fine, it is too short and only designed for smartphone with microUSB port on the top or bottom. 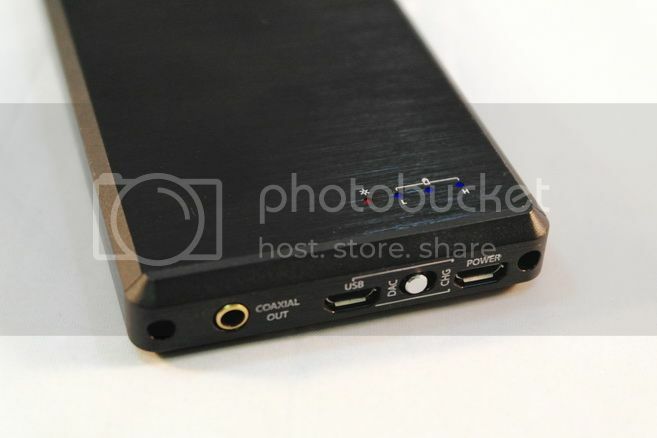 For me as a Sony Xperia user, that’s bad news since Sony usually places the microUSB port on the side. 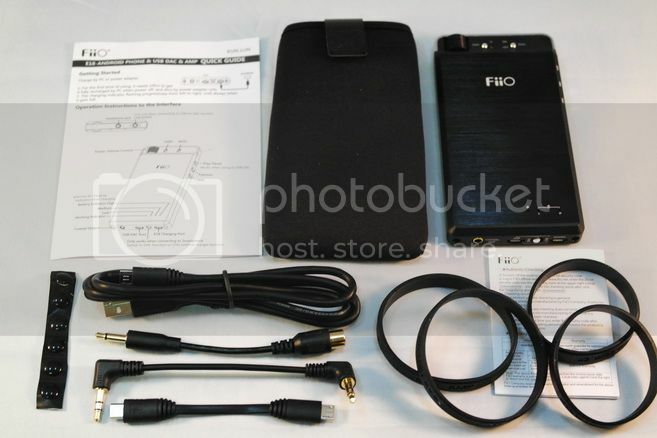 It would have been much better if FiiO would include a few more microUSB cable with different angle and length. Right now I have to look for an alternative cable so I can actual stack the two devices together. The remote buttons are not (from left) Previous, Next, Play, but actually Next, Previous, Play. Build quality is pretty much on par with previous FiiO products. The design is somewhat dull compared to E17, but at least it is still well built. Size wise, it is about the same as the E12 so it is by no mean small. However, it won’t be bigger than most of the top-of-the-line Android phone out there. On one end, there are the volume knob (which double as on/off switch), the 3.5mm headphone-out, the 3.5mm input (which double as line-out with the DAC function) The gain switch, and the bass boost switch. You will also find the three remote control buttons (Play/Pause, Next/Forward and Previous/Backward) on the side. On the other end, there are the S/PDIF out, and two micro USB port – one for charging the E18, the other one for either DAC or power bank function depends on the switch just next to the microUSB port. On top, there is an LED for DAC indication as three LED for battery capacity. 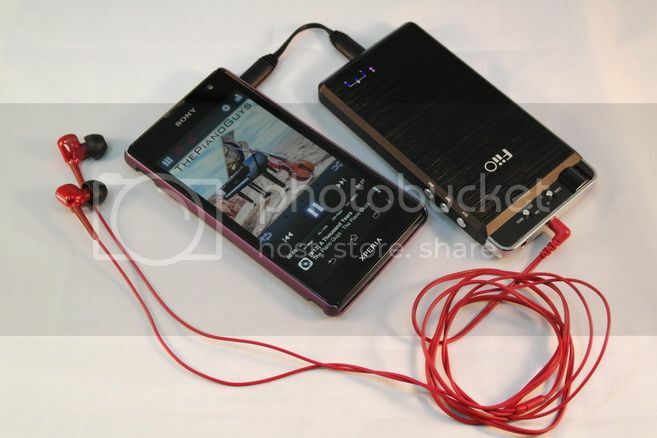 One thing to note, E18 can act as a USB DAC or a power bank (to charge you smartphone, etc), but not at the same time. It is important never to connect the port to a PC when it is in power bank mode, as it could lead to damage. Last but not least, the three remote control buttons works quite well in the both PC and Android. The ability to skip / pause music without turning the smartphone’s screen on is quite useful, same goes for PC remote control. However, the marking is a bit confusing. Instead of ‘back / forward / play’, it is actually ‘forward / back / play’. No biggie but it does seem odd at first. The 3.5mm analog-in also double as line-out for the DAC. E18 has two gain setting. Low gain is about +1dB and high gain is about +7.5dB. E18 is pretty much dead silence when it comes to hiss. It does pick up some mild EMI, but not enough to be a big concern unless you absolutely can’t stand any EMI – which will be a tall order given the source is most likely going to be a smartphone. E18 has a 3500mAH li-ion battery that can pump out some juice to charge your device if you choose to. As I have said before, it will be wise never to connect the microUSB port to a PC when it is in power bank mode, since you can’t really recharge a PC. I haven’t had the time to do a full battery test, but the big battery does look like it can almost out last a modern day smartphone when used together. Let talk about some of the hardware first: as far as I know, the DAC chip is TI PCM1795, which is one of the better DAC from TI and capable of 32bit 192kHz decoding. 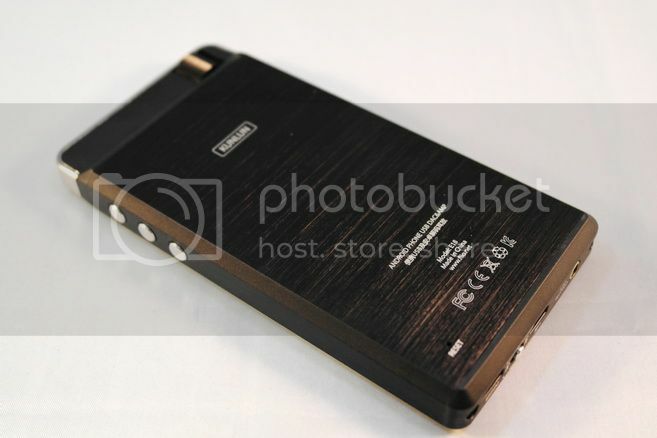 But because of the Tenor TE7022 as USB receiver, it will be limited to 24/96 at most. This is if you are running it from PC. On Android, you might not get the full 24/96 but limited to 16/44.1 depends on what your Android can support. DAC aside, E18 runs on an opamp+buffer amp section, which are OPA1612 + dual LMH6643 and should give it a comparable performance to E17 in theory. White = pure amp; Green = PC's USB DAC; Blue = Green with Bass Boost; Purple = Android DAC on Xperia TX with Power Amp music player; Yellow = Same as Purple, but using Neutron Music Player. As usual, I did some RMAA measurement on the E18. Because E18 can acts as USB DAC for PC and Android, as well as a standalone amp or a line-out source, I repeat the test quite a few times under different configuration. Both most occasions, either as pure amp or as DAC, E18 has very low noise and good dynamic, easily comparable to Leckerton Audio UHA-4 which I used for reference. As pure amp, E18 is flat from 50Hz to 20kHz, but has a very slight +0.5dB bump from 50Hz down to 20Hz. As either PC or Android DAC (w/ Power Amp), E18 still maintain the same flatness from 50Hz up, but instead has a very slight -0.5dB roll-off from 50Hz down to 20Hz. The deviations are all very mild on all three cases, so there isn’t much to concern. However, for some unknown reason, Neutron Music Player seems not to play well with E18 as it has much more obvious roll-off (-1dB @ 20Hz and -3.5dB @ 20kHz). This is likely caused by conflict between Neutron internal audio engine and the DAC driver. As much as I love Neutron as a music player on my Android, I’ll really advice against it if you are using E18. Output impedance is measured and calculated to be less than 1 ohm. Current output is similar to that of E17, and should be more than enough for even very low impedance load. Line-out is measured to be around 1.25Vrms, which isn’t particularly high (though higher than most iDevice line-out). Max headphone-out (high gain) is measured at around 3Vrms, good for most but probably not for the really high impedance, low sensitivity load. 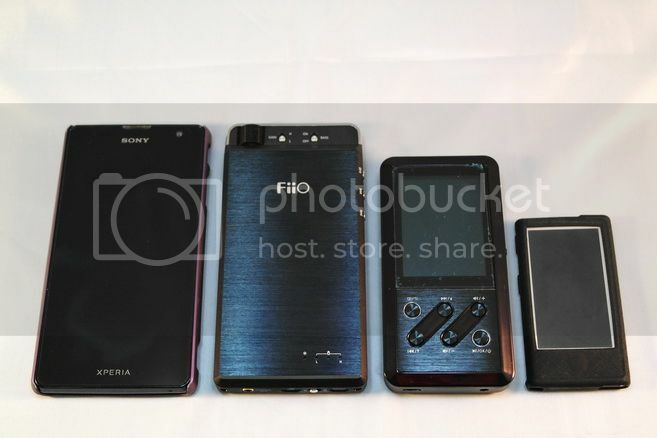 Size comparison (from left): Sony Xperia TX, E18, FiiO X3, Nano 7G. Size comparison (from left): C&C BH2, E18, E12. Let starts with the DAC section first. As far as subjective listening go, the DAC section carries some of the classic TI’s DAC flavor – that is, it has excellent texture and timbre over the mid and bass range, giving a very mild tone of warmth and forwardness. This is quite the contrast to ESS Sabre that is often very clean and open, which gives really good space but tends to be on the lean side. Beyond the different characteristics of the DAC, I’ll say the PCM1795 is just an equal match to any ES9023 based DAC. If you are coming from a Sabre DAC, you might find a more closed in soundstage and lesser upper detail. But in exchange you will get better lower texture and vocal detail. There isn’t a clear winner here in my opinion. How about the amp section? Quite excellent, actually. 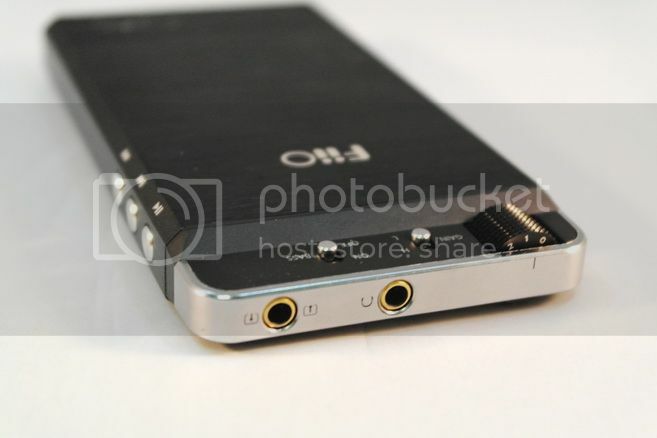 I volume matched the E18 to JDS Labs C5, Leckerton UHA-4 (OPA209) and FiiO’s own E12, then them a listen. For overall refinement and resolution, E18 is pretty much on the same level. The only area that is not as good is on the soundstage. While it is quite good, it isn’t nearly as grand as the others. 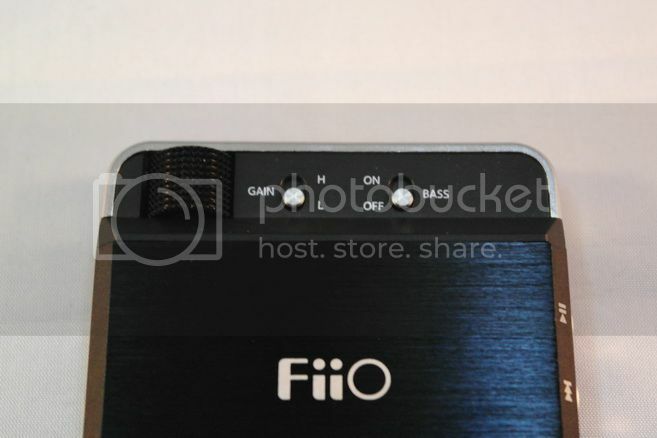 This makes E18 probably the 2nd best sounding amp in current FiiO’s line-up of portable amp, just after E12. If E18 has the equal soundstage to match, I would think E12 might not be the king of the mountain anymore. 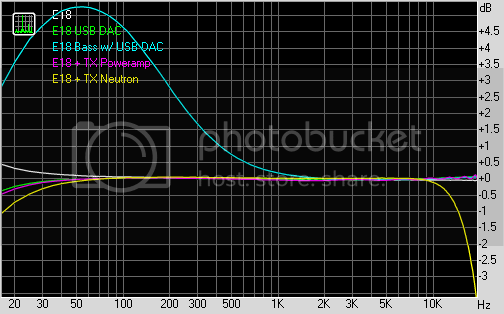 Bass boost begin just under 1kHz and peaks around 55Hz @ +5.3dB before rolling back down to +3.5dB @ 20Hz. 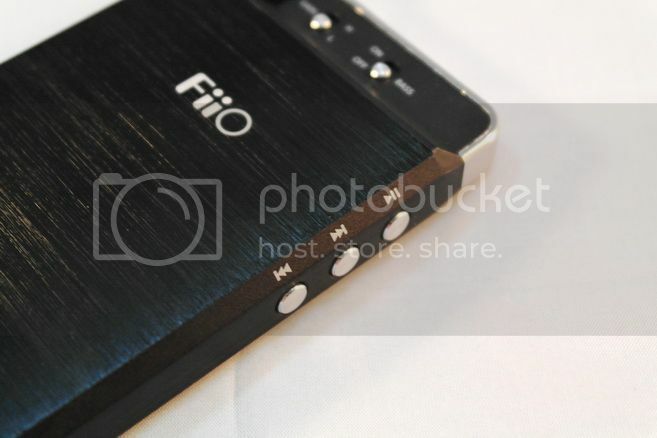 It actually looks quite similar to the bass boost on older FiiO product. It behaves quite well, since the majority of the boost is in the sub-200Hz region. In essence, you will get a good dose of rumbling with an adequate amount of boominess. The included USB cable isn't ideal for the TX, but it will work. So far we have covered just about everything on the upcoming E18, so what is the surprise I have mentioned on the title? Well, if you have been chasing Android news as much as I do, you probably should know that USB Audio is supposed to be part of the Jelly Bean. Yet, besides some flagship devices from big brand that comes with their own custom built USB audio driver, the sad news is most of Jelly Bean devices just won’t detect USB DAC. It is a sad situation that I have experienced with my Xperia TX (JB 4.1.2). I have tried as many USB DAC as I could, but as usually, it keep telling me the USB DAC is drawing too much power, even when I have the USB DAC powered externally. Something in the stock Android USB audio driver or the OS itself seems to be missing, and I even started to doubt whether there is actually a stock USB audio driver or not – then comes the E18, takes my doubt away and turns it into joy. Now my TX has been transformed to a proper audiophile player. Okay, the sound quality isn’t quite as good as a DX100 or HM901, but it sure is more than good enough for day to day listening and way better than the smartphone itself. There is no guarantee that your Android will work, but there is more hope than ever. If anything, I reckon this is just about as close as a ‘must have’ for any Android user who suffer from a sub-par headphone-out on their smartphone. A thank to FiiO for the sample.